As the founder of the modern temporary staffing industry, Kelly Services was built on a tradition of integrity, quality and service excellence. So when it came to their corporate annual report, they wanted to work with an agency that shares those same core values. 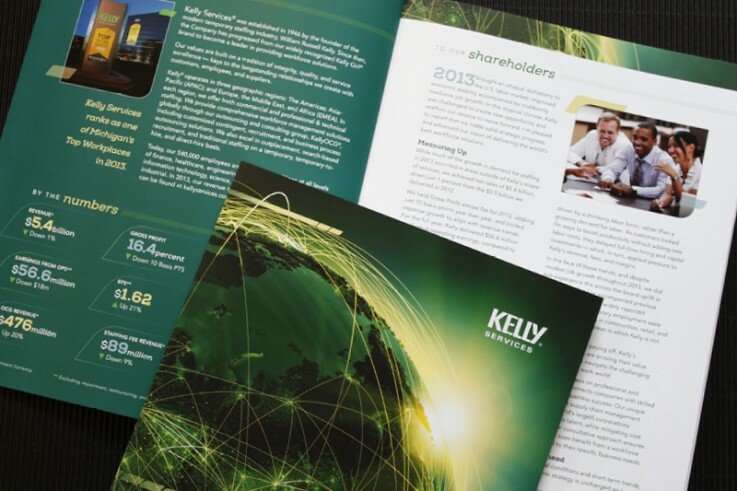 Olmsted Associates partnered with Kelly Services in 2001 and has been working with the Fortune 500 company to produce award-winning annual reports year after year.